Last week Tesla unveiled two of its newest vehicles, The Tesla Roadster which Tesla says will be the fastest production car available and the Semi which is an electric semi truck. The Tesla semi provides a range of 500 miles between charges, $200,000 in fuel savings, and an enhanced autopilot system which increases safety. However, Teslas’s decision to participate in the semi-truck market is seen as a risk by some analysts. It is too early to know if Tesla’s semi will be widely adopted, especially since there are some concerns with Tesla’s Semi. During the announcement Tesla did not announce a price for their truck which will likely be significantly more expensive than its traditional diesel counterparts. In addition, heavy batteries means less payload and added cost which could prevent buyers who are focused on operating cost per mile from making a purchase. This currently there is a lot of uncertainty in regard to how the market for electric commercial vehicles will develop. However, Tesla and other Truck makers such as Daimler AG and Navistar International group are betting that the market will shift towards electric trucks. This bet may be correct since currently regulators around the world are increasingly pressuring the trucking industry to slash emissions from its diesel trucks. Currently it is estimated that heavy duty trucks represent 4% of vehicles on the road but account for 20% of carbon emissions. Some cities and ports are also discussing banning or heavily taxing diesel vehicles. Currently Walmart and J.B Hunt have put in orders for Tesla’s Semi, but they are only ordering a few to test them out. 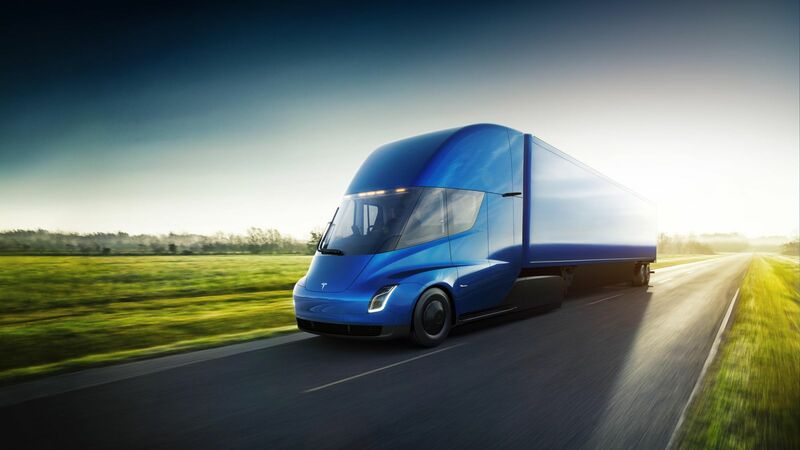 If Tesla wishes to be successful, then they will have to show potential buyers that their Semi provides decreased operational costs which would make it worth the higher upfront cost. Panchadar, Arjun, and Eric M. Johnson. “J.B. Hunt, Wal-Mart Climb Aboard Tesla’s Electric Truck.” Reuters, Thomson Reuters, 17 Nov. 2017, www.reuters.com/article/us-tesla-truck-jb-hunt-trans/j-b-hunt-wal-mart-climb-aboard-teslas-electric-truck-idUSKBN1DH1GH.